Businesswoman and model Ivanka Trump let her Twitter followers in on a little secret -- she's getting married! 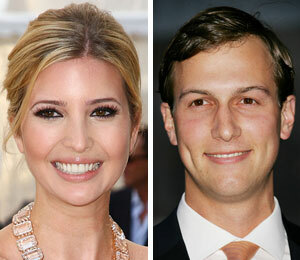 The 27-year-old daughter of Ivana and Donald Trump is engaged to New York Observer owner Jared Kushner. On Thursday morning Ivanka tweeted, "I got engaged last night... truly the happiest day of my life!!!"